I am obsessed with kurtis post pregnancy because they are just so comfortable and help me hide my belly fat very nicely. Kurtis are like super versatile as they work for any weather and can be worn by all body types. Like most Indian women out there I love the kurti legging combination to wear on an everyday basis but when things get a bit boring and I feel more experimental I try different styling combinations and here I will share a few ideas with you. Long kurtas are totally in these days but in this post I will concentrate on ways to style the short kurti as I have already written a detailed post on ways to style a long kurta on my blog . Styling short kurtas for me gets tricky because I dont prefer wearing leggings with my super short kurtas and I have been exploring some fun styling ideas for short kurtas other than leggings. Palazzo pants are like my most preferred way to pair short kurtas these days as they are breezy and fun but there are more ways if you are in mood to get creative and try new things. 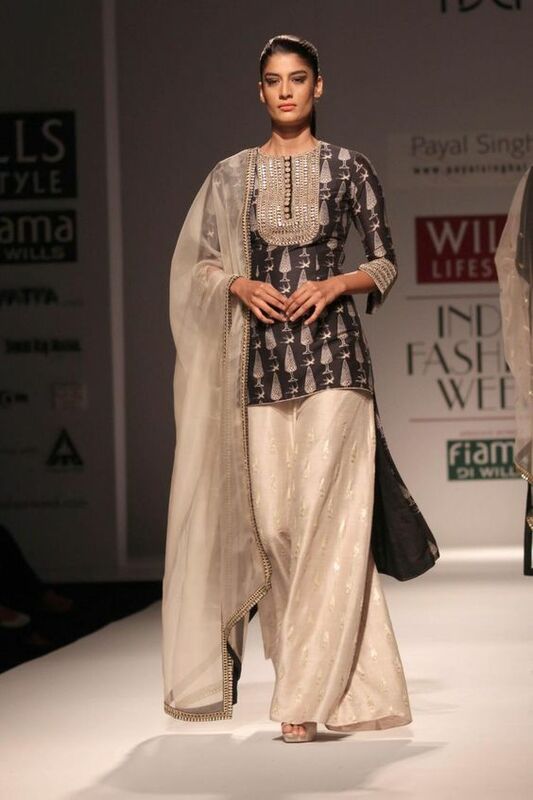 Dhoti pants have a relaxed fit and the pleats in these voluminous bottoms are best flaunted with a short kurti. Go for a peplum style super sort anarkali kurti for a dressy look or for a straight cut short Kurtis for more laid back comfortable look. 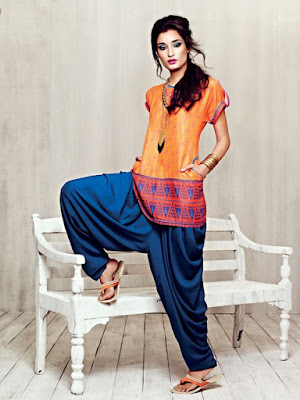 Harem pants also look great with short kurtis but always wear contrasting colours for a more impactful look. Cropped pants look great with short kurtis and gives a very formal vibe. You can add some fun accesories to glam up this kind of look. 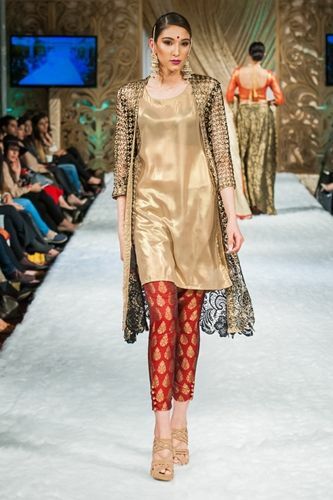 If you like layering then pair a long jacket with your short kurti for a cape like glam effect. 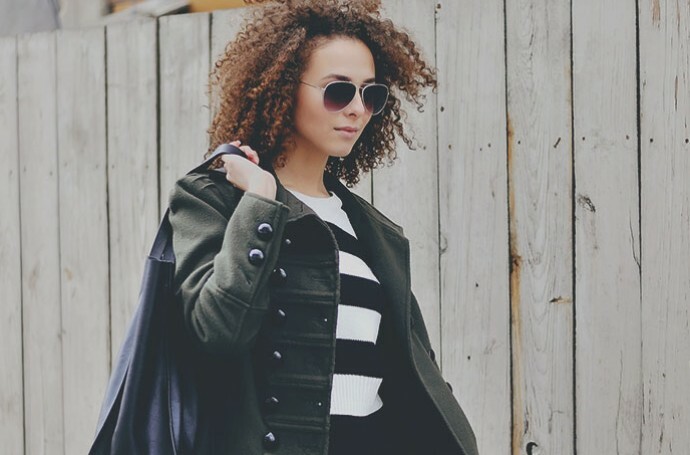 Go for sheer long jackets like lace and netted ones. Teaming skirts with short kurtis can make for fuss free festive looks which you can wear to mehndis, weddings and even festivals like diwali. Kurtis and jeans are a match made in heaven and short kurtis particularly look good with denims. If you really are looking for a simple short kurti look jeans is the way to go. Jeans is definitely a better option with short kurtis as leggings can get uncomfortable id you have body issues. Ditch your loose Tee for a kurti to pair with shorts for a chic fun look. Front open kurtas which are quite a rage these days work best with shorts. If your kurti is super short you can tucck it in for a polished look. Like I mentined before pairing a short kurti with palazzos is my favorite way to style short kurtis. I go for contrasting coloured palazzo pants in vibrat colours for a fun summer look. I also pair plain short kurtis with printed palazzo pants. I often pair my short sleeved kurtis with shrugs in winter but have you thought about pairing a leather jacket or a denim jacket with short kurti for a rugged funk look? 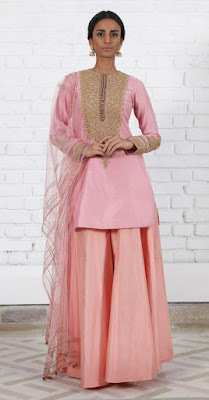 you can even add a more girly embroidered jacket or a sleeveless short koti jacket to your short kurti. In summer skip the bottoms and wear your flared anarkali type short kurtis like a dress. Add a belt if your kurti doesnt have a defined vest and pair with a pair of pumps for a chic breezy look. 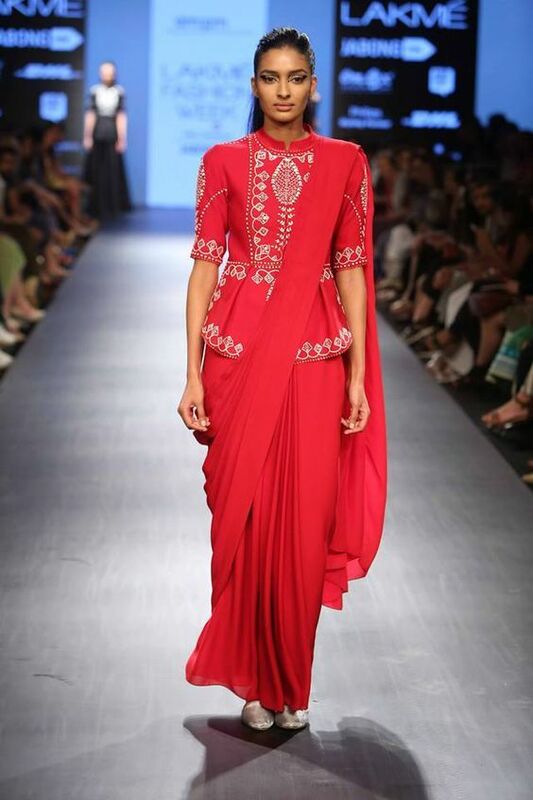 Everyone is going for their own modernized saree version, getting creative with drapes and blouses. 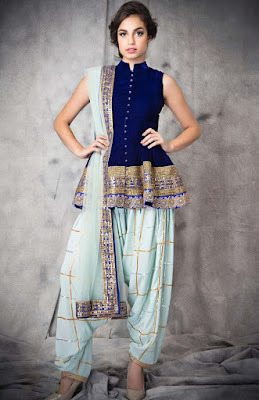 You can also try modernizing your saree look by using your short kurti like a blouse. just wear your short kurti and drape the saree over it in a more relaxed way for a covered up winter saree look. Which is your favourite way to style short kurtis?  Very informative post ! 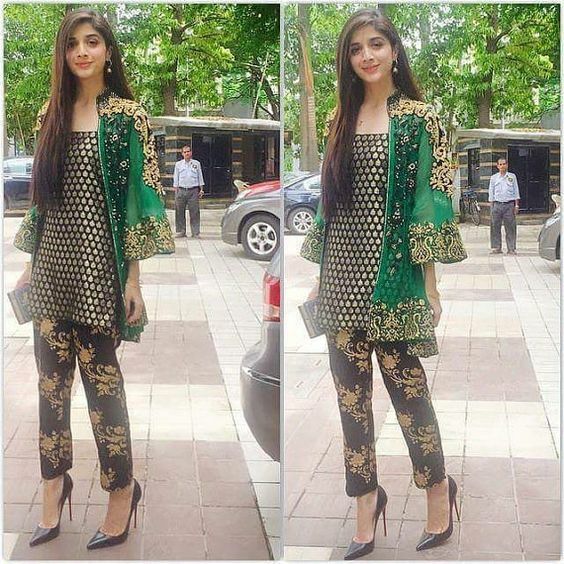 The saree blouse, Palazzo and skirt one be my favorites !